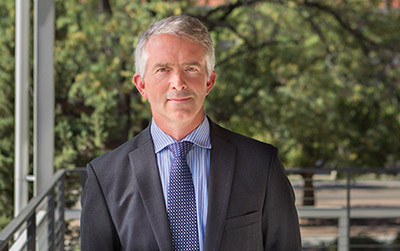 The University of Arizona is pleased to name Brent White Vice Provost of UA Global. Global engagement is one of five pillars of the strategic plan for the University of Arizona, and White will lead the UA’s global effort. White will coordinate ongoing efforts to implement the UA’s strategic vision for global, including making the UA a top 20 destination for international students, a top 10 national university for the number of students who study abroad, and a world-leader in confronting global challenges. He will also lead the creation of a UA Global Center, which will serve as a one-stop shop for services for international students, faculty and scholars, and will be the hub for international activities on campus. White led the team that developed the first UA micro-campus at Ocean University of China in Qingdao, which has become the model for the larger UA initiative to create a network of micro-campuses, or UA degree-granting locations, around the globe. He will continue to lead this initiative as Dean of Global Campuses and International Education. Since July of 2018, White has served as the Interim Vice Provost of UA Global, combining the Offices of International Education and Global Initiatives into one unit. At that time, he was also named Dean of Global Campuses. White is a scholar of law and development and property law, with a focus on Asia. He is a tenured professor of law and an affiliated professor of East Asian Studies. His work has been featured in The New York Times, The Wall Street Journal, NPR and 60 Minutes. Prior to academia, he was the legal director of the ACLU of Hawaii, an international litigation associate at Crowell & Moring in Washington, D.C., and a public defender in Nashville, Tennessee. Brent has studied or worked for extended periods in six countries, including Japan, China, Mongolia, Thailand, Cambodia and Indonesia.